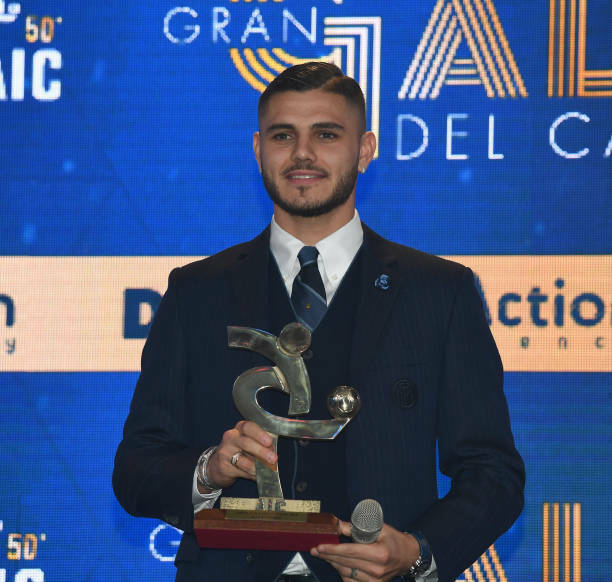 Mauro Icardi may not have won the France Football Ballon d’Or award but he did win the Italian Ballor d’Or given by the Gran Gala del Calcio. The Argentina man, who managed to score 29 goals in 34 Serie A matches was given the award on Monday. He became the first player not of Juventus to win the award since Zlatan Ibrahimovic won it in 2011 while playing for AC Milan. A back heel goal against his former club Sampdoria last season also won him goal of the year.